For commercial lawyers, possessing the quality above is essential. A lawyer in a commercial context must have a firm grounding in both the legal and business marketplaces. An awareness of the competition and the growing trends within the legal sector is critical for a firm that wants to keep pace. Equally, as every client is a business, a solicitor must have a thorough knowledge of the relevant industry so that he can offer relevant, effective, and future-proof advice to a client. A fact that employers often stress also emphasises the importance of commercial awareness; a law firm is a business. Therefore, an understanding of what makes a business successful, and the challenges it may face along the way, is an important tool for any prospective solicitor. Many students find it difficult discovering ways to become commercially aware, many reaching straight for the business sections of the newspaper or going online to read the latest commercial and legal bulletins. However, there are much easier ways. Podcasts, blogs and apps perhaps make it easier than ever before to passively absorb business-sense. Less tedious than a broadsheet and something that you can tackle on the way to University. A similar, and equally brilliant, untapped resource are TED talks. TED talks are video lectures, ideas and presentations. Better yet, TED talks are a great resource for picking up a subtle, and perhaps deeper understanding of commercial awareness. Listed below are ten great talks, focused on a range of general commercial issues, to get you started and send you on your way to becoming a guru of the commercially aware. This blog post was written by James Warnock. 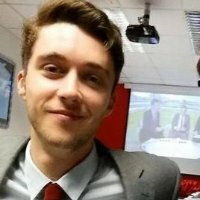 James is currently studying the M Law degree at Northumbria University and is working as a student advisor for business and commercial law within its Student Law office. On graduation he hopes to secure a role which will allow him to apply the law-based skills he has acquired within a commercial context, whether this is in-house, in private practice or in a wider business context. He aspires to work alongside unique and passionate forms of enterprise. ← Stay ahead of the game and think digital!